With temps dipping throughout the country, we're all dreaming of escaping to a sun-filled island nearby. Consider the USVI—a cluster of tropical Caribbean islands including St. Croix, St. Thomas, St. John, and some 50 smaller cays. 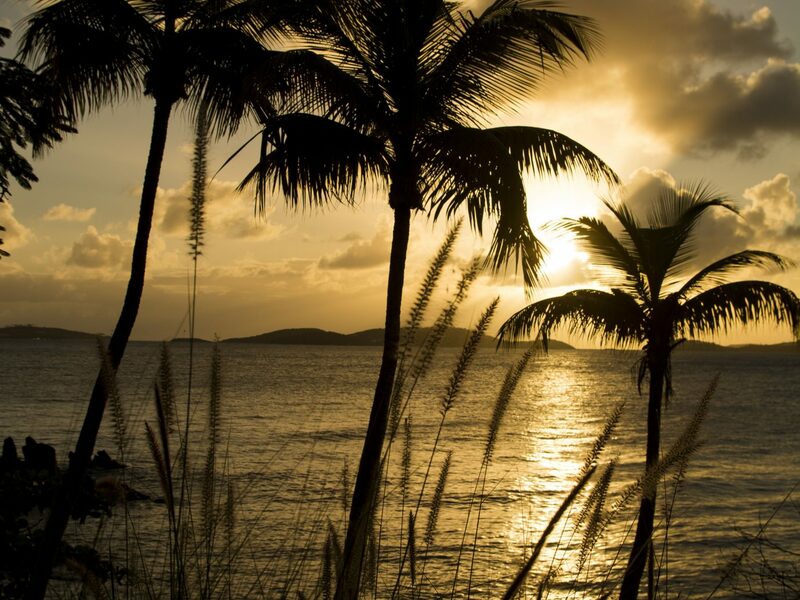 We've rounded up the 9 best US Virgin Island resorts to check in to now. The best part? You don’t need your passport. St. John is the lushest and wildest of the USVI, so you won’t find any souvenir shops or mega-resorts here. 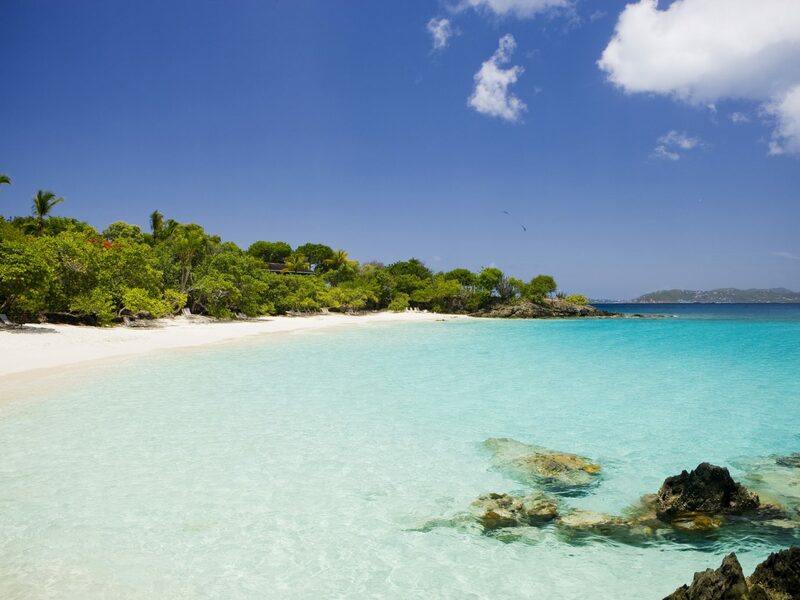 Instead, most of the land is part of the Virgin Islands National Park, which is known for its colorful coral reefs, tropical forests, 18th-century sugar plantation ruins, and white-sand beaches like Trunk Bay and Francis Bay, where you can swim with sea turtles. 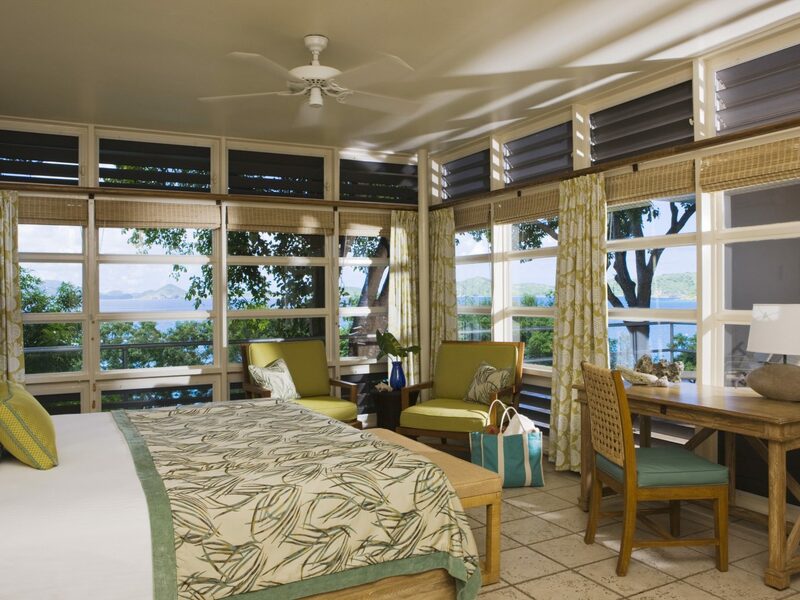 To be in the heart of the action, stay at Caneel Bay, the only hotel within the park. Ecotourism pioneer Laurance Rockefeller opened it in 1956 for those wanting to commune in nature. The 166 rooms (housed in quaint stone cottages) are spread across 170 acres of fragrant gardens and seven private beaches. 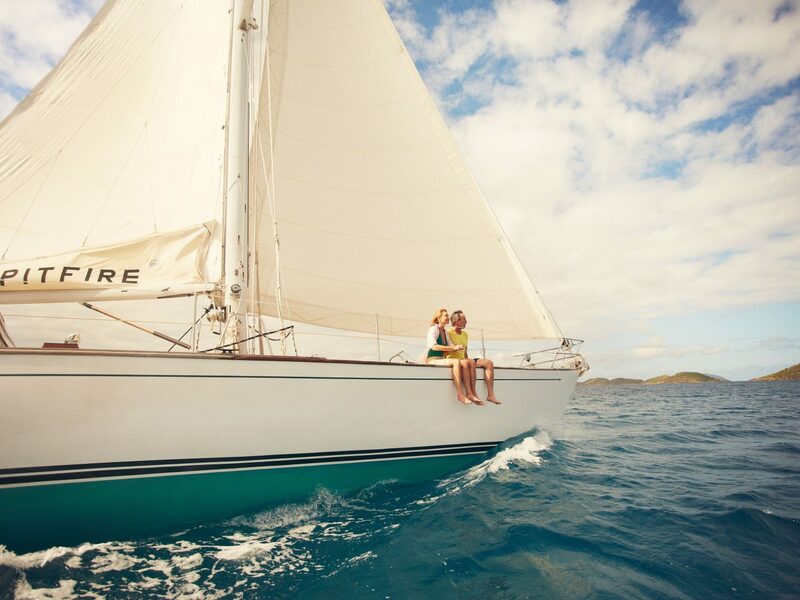 Days are spent kayaking, hiking, and sailing on the free Sunfish boats. 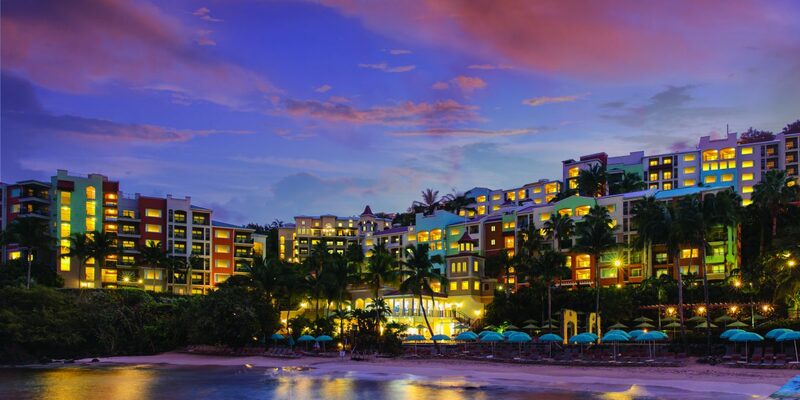 Leave it to The Ritz-Carlton to have the most elegant hotel in the USVI. Expect luxe amenities like 180 spacious ocean-view rooms, a spa with seaside cabanas and rain therapy Vichy shower massages, four waterfront restaurants, plus a 53-foot catamaran that’s available for sunset cruises and private charters. 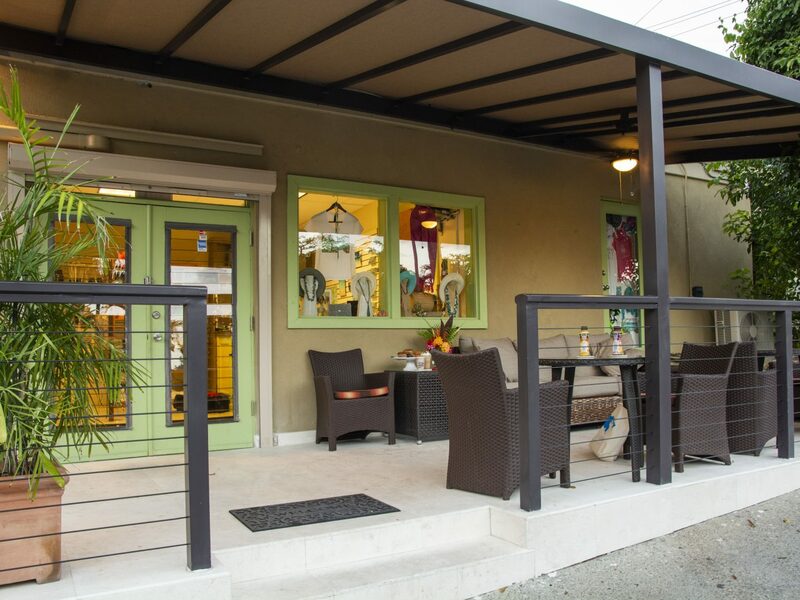 Although we wouldn’t blame you for never leaving this tranquil strip, the property is in a prime location to explore the rest of St. Thomas, the most populous of the U.S. Virgin Islands. 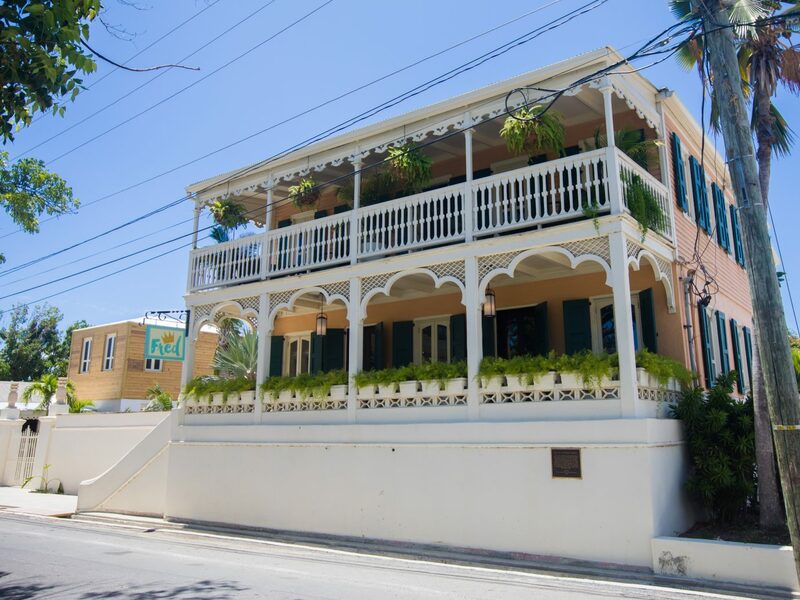 It’s a quick 20-minute drive to downtown Charlotte Amalie, the capital city and main cruise port that has grand Danish colonial architecture, high-end jewelry boutiques, buzzy rum bars, and an eclectic art scene. 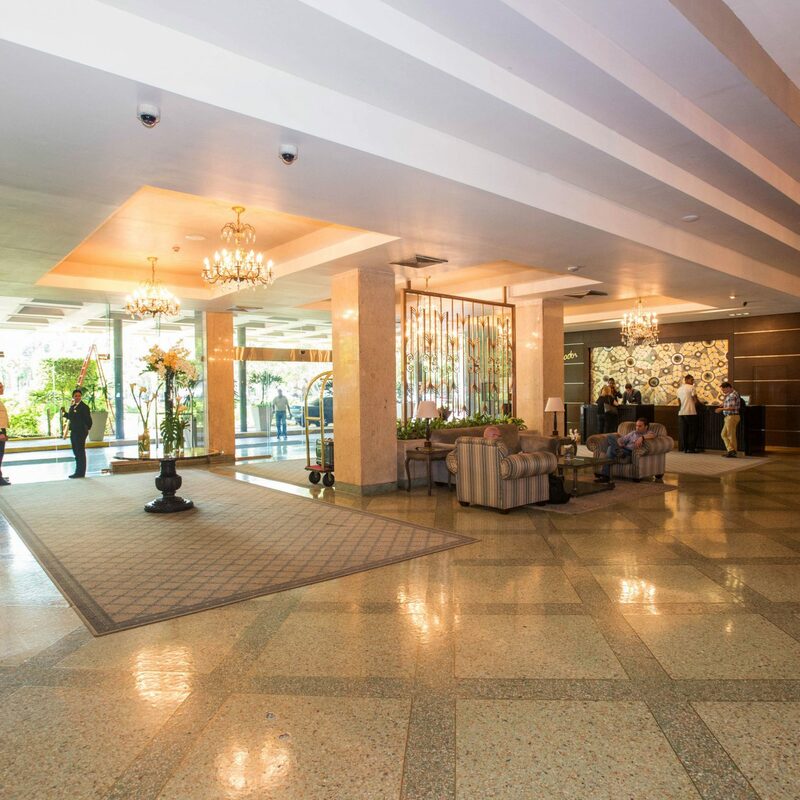 (FYI: This hotel is set to reopen later this year after hurricane damage). 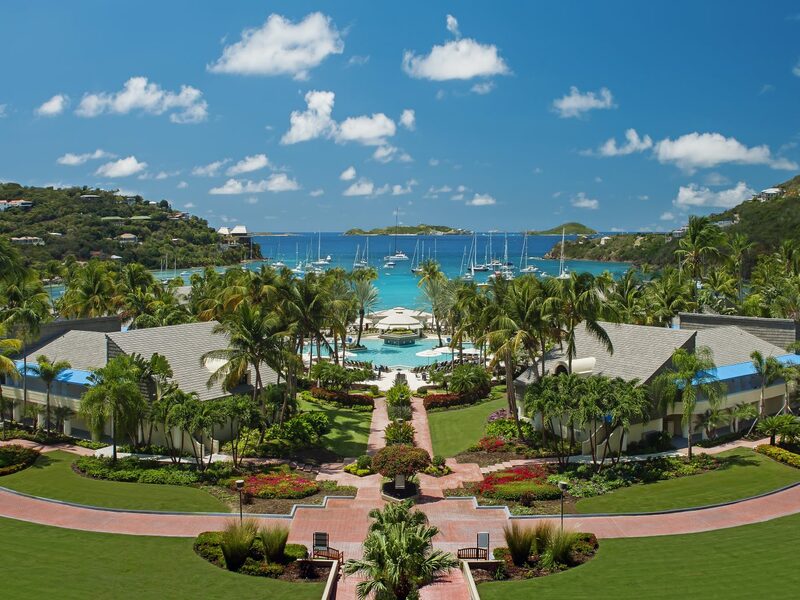 Live like a king and splurge on the sleek villas at The Westin St. John. The sprawling one-, two-, or three-bedroom townhouses reach up to 2,850 square feet and are kitted out with full kitchens, split-level floor plans, and a laundry area for all your wet swim gear. 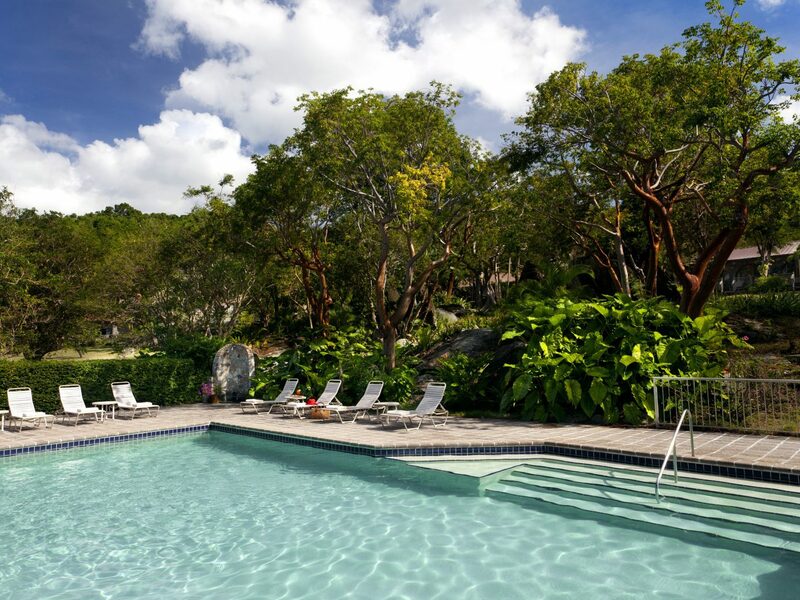 To top it off, the attentive staff will cater to your every whim—they’ll serve fruity cocktails by the quarter-acre pool (the largest on the island), chauffeur you around the 47-acre Eden in golf carts, and arrange a guest-only ferry direct from the St. Thomas airport. 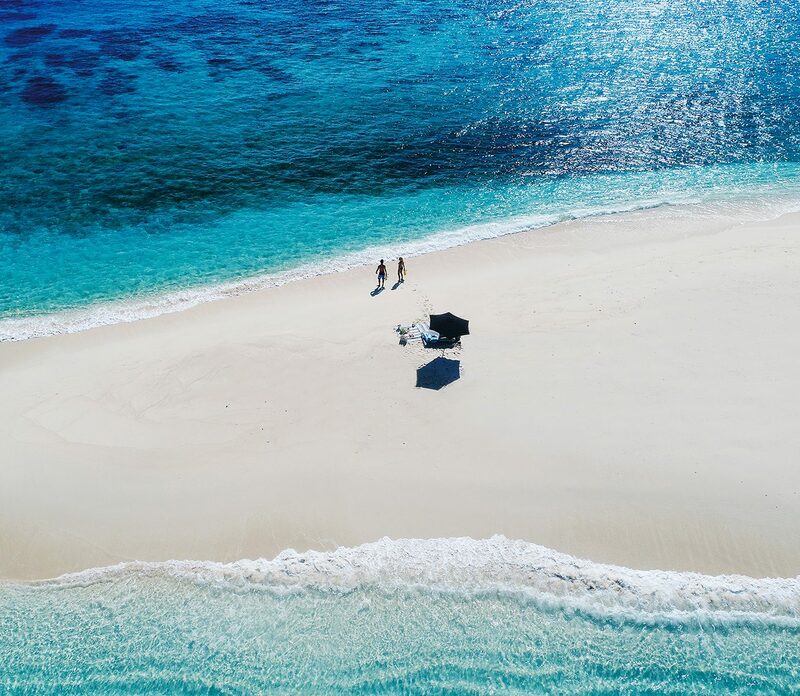 Castaway cottages, untouched nature, and home-away-from-home hospitality is what awaits you at this off-the-grid getaway. The B&B is an oasis, hidden in a hilltop bird sanctuary overlooking Frank Bay. Its three adults-only bungalows have a laid-back, barefoot vibe, done up in a turquoise, teal, and lime green palette with canopy beds, outdoor showers, and verandas shaded by coconut, almond, and banana trees. 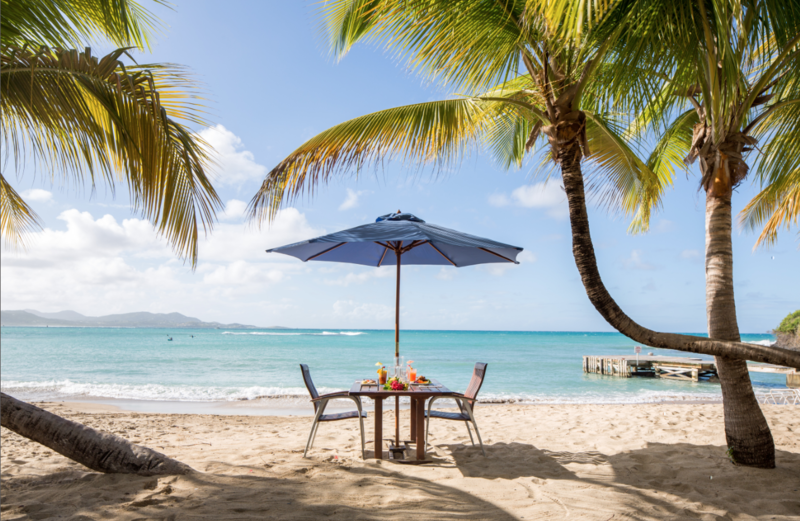 Wake up early to watch the sunrise over the on-site salt pond before tucking into a gourmet breakfast of piña colada french toast with bananas foster syrup and bread baked fresh by the inn owner. 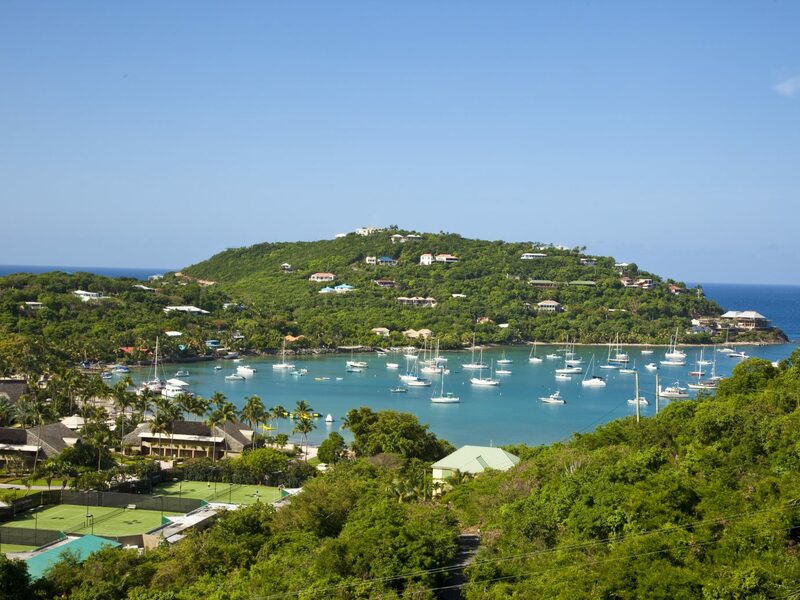 Perched on a serene five-acre peninsula in St. John, Gallows Point has something for everyone. The all-suite resort features oceanfront and harbor-view villas with light-drenched living areas, massive balconies, and king-size bedrooms. Despite feeling secluded, it’s only a five-minute walk to Cruz Bay, where you can catch the public ferries for a day trip to St. Thomas, Tortola, Virgin Gorda, and other surrounding isles. 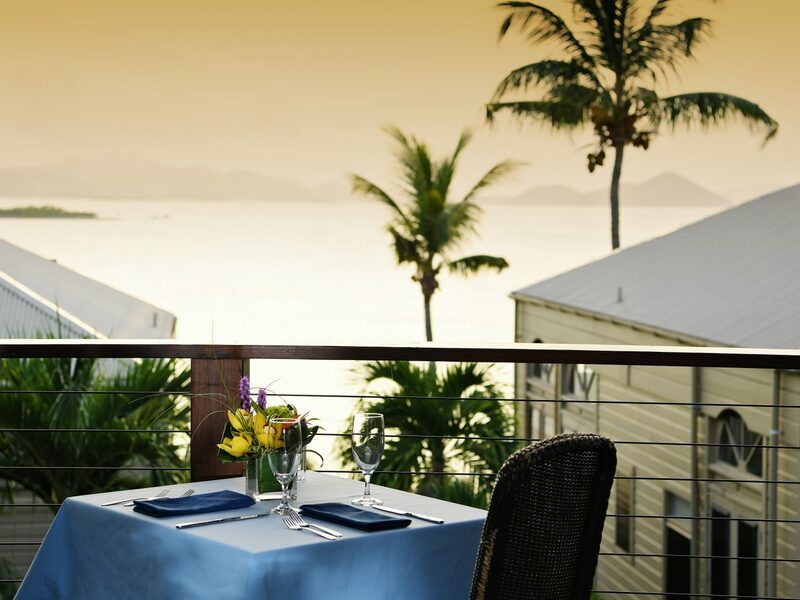 Just make sure to be back in time for dinner at the open-air Ocean 362 restaurant, which serves shrimp and lobster ravioli, spiced walnut Roquefort blue cheesecake crostini, and duck breast with sweet potato gnocchi. The Fred is the centerfold in a rare rags-to-riches story. 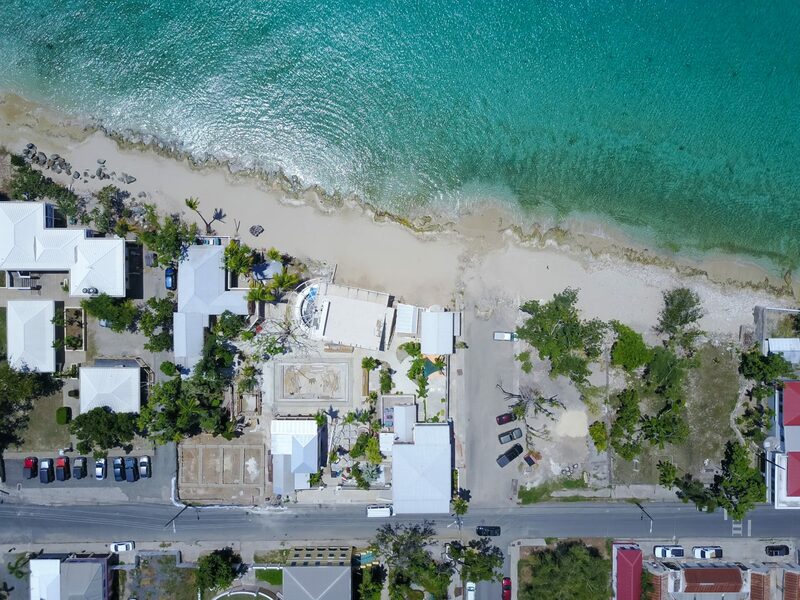 It starts with a real estate duo who traveled to 14 different islands around the world, hoping to open a quirky boutique hotel in an underdeveloped area. 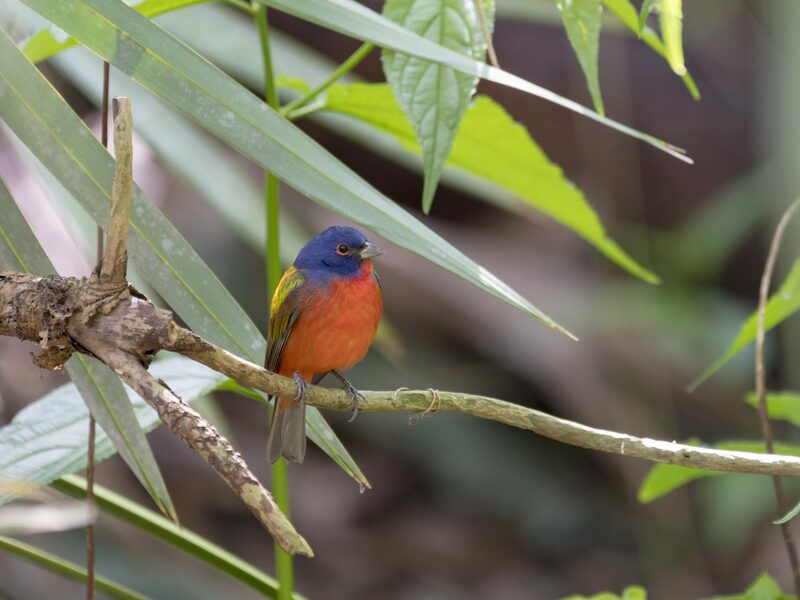 At long last, the hunt was over when they landed in Frederiksted, a sleepy haven on St. Croix’s western edge. 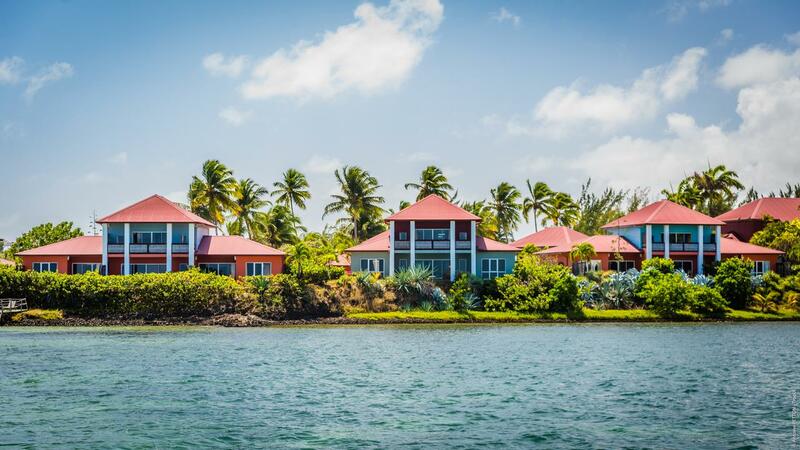 After four years of planning, The Fred debuted in spring 2018 as the first hotel to be built on St. Croix in more than 30 years. The whimsical stay—think: bold statement walls, playful prints, and funky art—is spread across two historic homes on the waterfront in the heart of town. As of now, the spa and 12 of 22 guest rooms are open, with a restaurant, bar, and saltwater infinity pool coming soon. 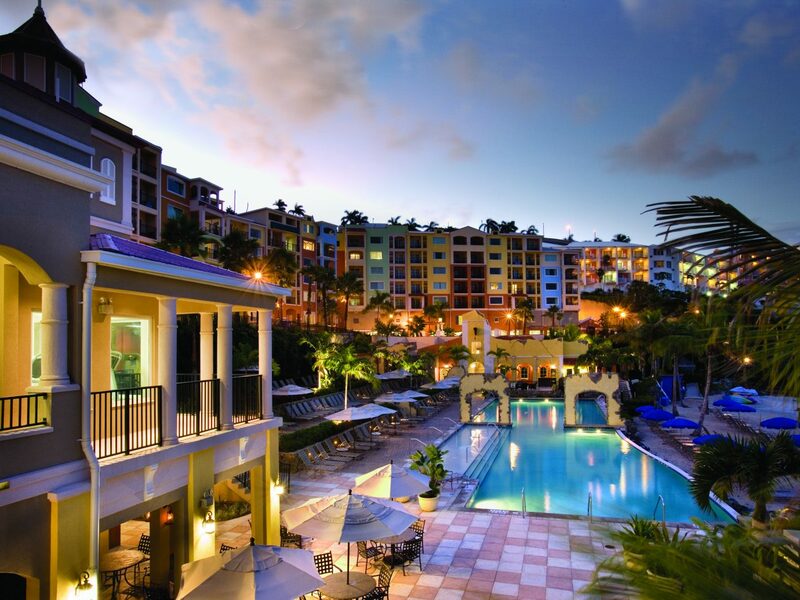 For families who have tots in tow, Marriott Frenchman’s Cove is the ideal place to bed down. 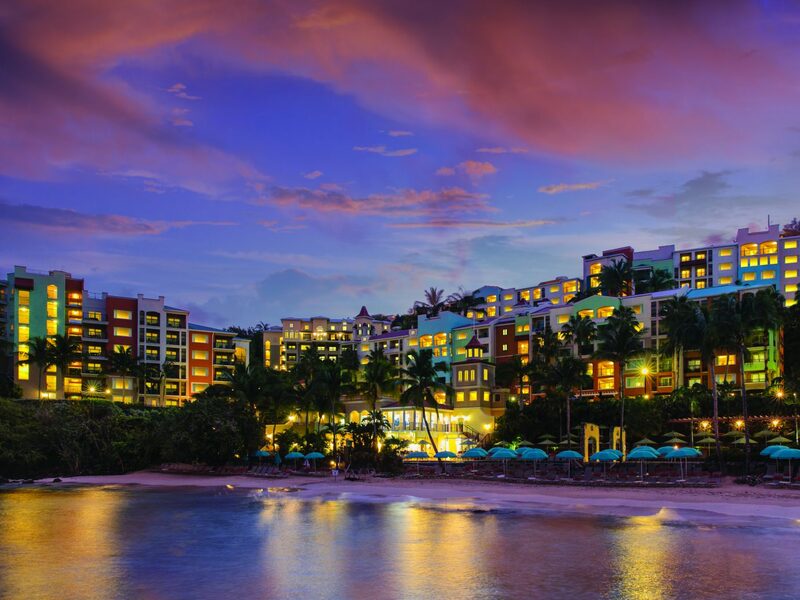 The colorful resort community clings to a cliff overlooking the sparkling Pacquereau Bay and offers an all-in-one experience. When you’re not relaxing in the two- or three-bedroom villas, dip in the infinity pool with a water slide, catch a steel drum show, or watch a dive-in movie. Can’t get enough? 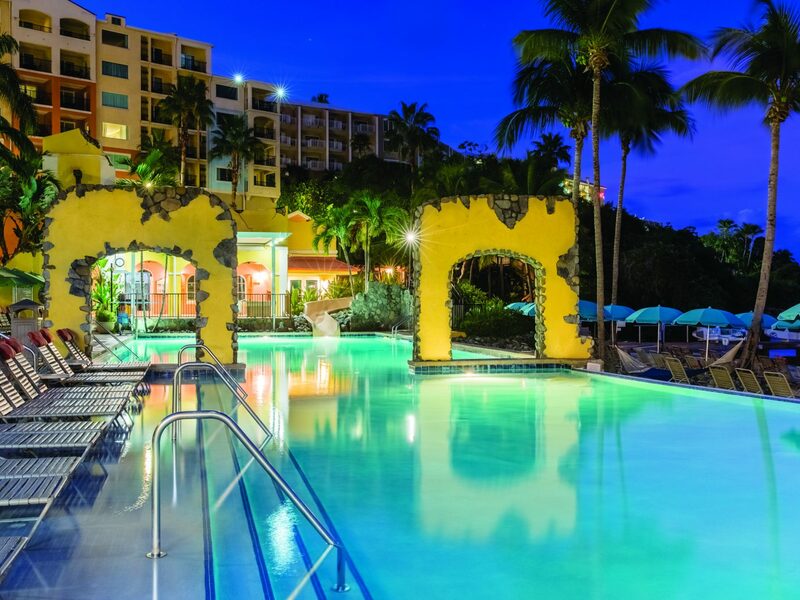 Ask the concierge about timeshare options to buy your own slice of paradise. 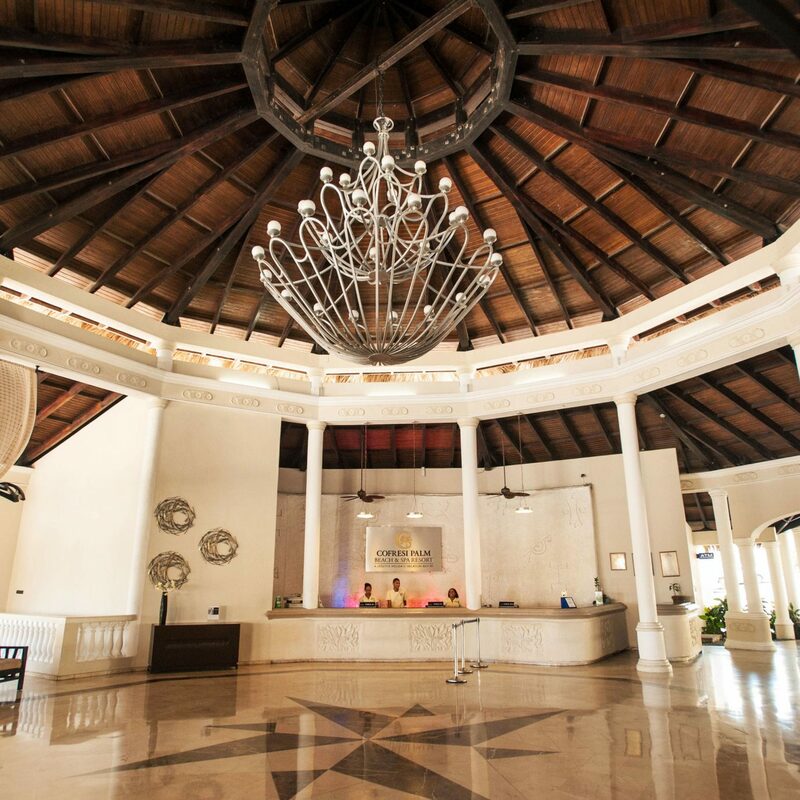 As the Caribbean’s longest-running retreat, The Buccaneer has welcomed guests to its shores since the 17th century. 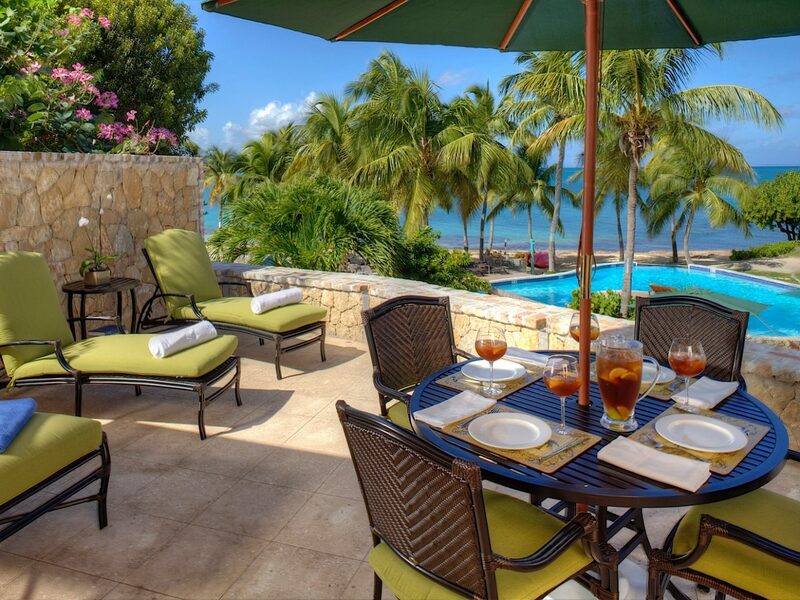 Set on the northern coast of St. Croix, it has every modern amenity you’d want and more. While children enjoy playtime at the kid’s club, the adults can tee-up at the 18-hole seaside golf course, set a match at the eight tennis courts, catch some rays at the three beaches or two pools, get pampered at the spa and salon, or have a romantic dinner at one of the three award-winning restaurants. There are other unique perks like free two-hour scuba diving lessons, watercolor classes led by a local artisan, as well as a nature and history tour of the 340-acre grounds.